Today, DeSean Jackson, and his Philadelphia Eagles teammates (Michael Vick, Kurt Coleman, Zack Ertz, John Dorenbos and others) will be highlighted on NFL Sunday for their generosity and efforts towards ‘giving back’ to the community. During a recent DeSean Jackson Foundation “Shop With a Jock Event” DeSean and the Eagles provided 50 local children a shopping spree for the holidays. The 50 youth consisted of youth from a local charity that serves disadvantaged youth, the Philadelphia Youth Service Inc.; the family of Bryan Maenner, a youth who recently died a few days after meeting Mrs. Gayle Jackson; and, Nadin Khoury, a local youth who brought the issue of bullying to a national forum when Barbara Walter’s, of The View, invited both Khoury and his sports hero, DeSean Jackson, of the Philadelphia Eagles to her show to discuss the escalating epidemic of bullying. The DeSean Jackson Foundation thanks Wal-Mart, DeSean’s teammates and NFL Sunday for their support. 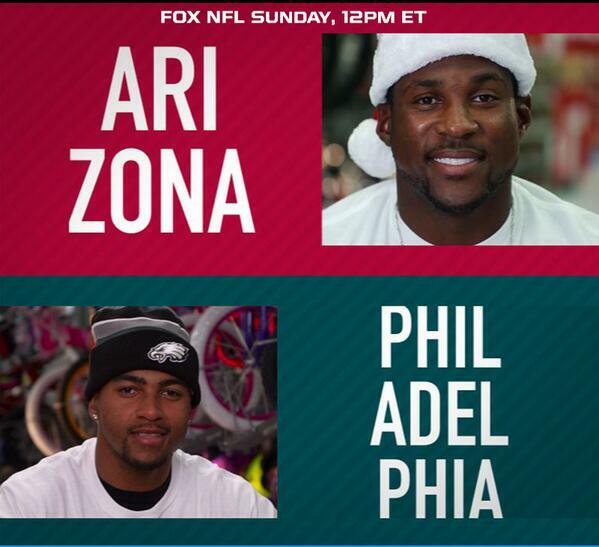 Please be sure to watch the segment today as our Eagles represent the ‘City of Brotherly Love’…and Happy Holidays. – Gayle Jackson, President, The DeSean Jackson Foundation.